Challenging materials and minimal tolerances characterize the demanding production of medical devices. Absolute process reliability is essential for successful certification. 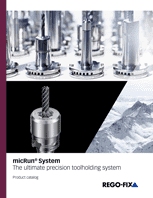 An excellent runout accuracy paired with high vibration dampening makes micRun a suited tool clamping solution for all micro machining applications. With a clamping range starting at 0.2 mm and a total system runout TIR of less than 3 μm, powRgrip meets your high performance demands. 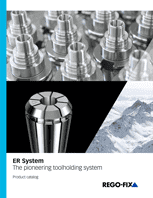 Tool changing in dental laboratories sets special requirements for the toolholding system. Discover how our Swiss-based customer, Fischler Camtech AG, mastered this challenge.